Dr. Ariel Smith grew up in Lake Mary, Florida and spent her early years riding and showing horses. During this time, she nurtured a love of large and small animals alike. She attended the University of Florida for both her Bachelor’s degree in Biological Sciences and her Doctor of Veterinary Medicine degree. During her studies, she was part of the UF Water Polo team, UF Pre-Veterinary Club, as well as the UF Equestrian Team. Dr. Smith worked for the UF College of Veterinary Medicine as a veterinary technician, working with a myriad of animals including dogs, cats, pocket pets, horses, and exotic animals. 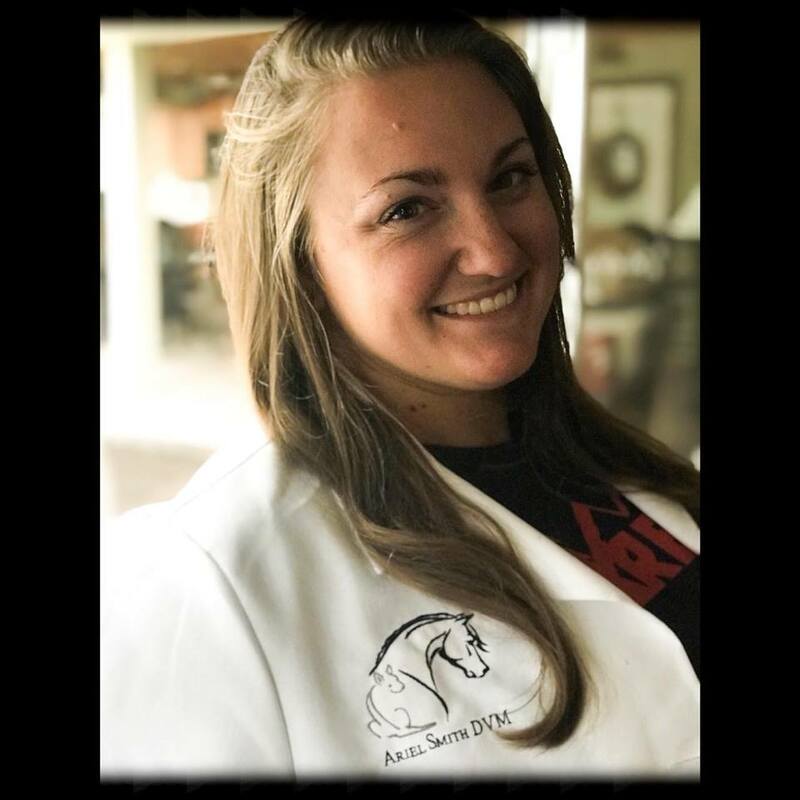 After graduating in May of 2017, Dr. Smith has provided relief work for local small animal veterinary clinics, as well as grown her own ambulatory practice to service equines and livestock.